Earlier this month, a Miami judge declared Florida’s revised death penalty law unconstitutional, saying jurors should agree to execution unanimously, contrary to what the new law says. Circuit Court Judge for Miami-Dade County, Milton Hirsch, said that Florida’s new death penalty law, which enacted a “super majority” system where 10 of 12 juror votes a re required to impose the death penalty for murder is contrary to U.S.’s long-time goes against the long-time precedent of unanimous verdicts regarding the death penalty cases. Just recently in March, Florida’s legislature was forced to revise the death penalty statute after the U.S. Supreme Court declared the previous one unconstitutional in January of this year because it said it did not give jurors a significant enough role in the death penalty decision. All those terms have been litigated up and down the court system. A useful understanding of this element or facts that must be proved before a finder of fact can impose the death penalty is that the nature or the killing was such that it is not a fast or painless death, or the killer tortured the victim before death overcame the victim. Death is also imposed in certain cases in which the killing is a killing for hire, or done to escape detection (killing a witness), or the killing of a special protected class of individuals such as police officers, firefighters, rescue workers, judges, prosecutors and other special classes of victims. 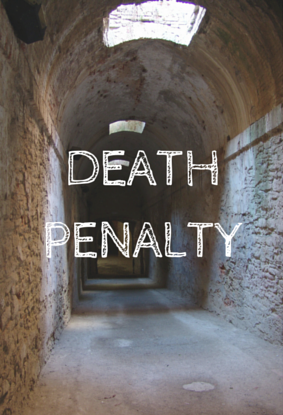 Each state has or includes different special classes of victims in which the death penalty can or must be imposed. What the Judge in Miami did was to strike down the new revised law. Formerly, once a recommendation was made by the jury, and the recommendation had to be unanimous, the Judge could then decide on his/her own to impose death or not impose death. The U.S. Supreme Court last year ruled that plan or that structure unconstitutional and struck the Florida death statutes and their manner or method for imposing death. The “new’ plan, the one that was found unconstitutional, had the jury decide by a vote of ten jurors to impose death and took the judge out of the process. But the Miami Judge declared that ten is not constitutional and that the decision must be the decision of all twelve of the the jurors. Now the appeal process begins and appellate court for the Miami district, the Third District Court of Appeals, will hear the case on appeal. That appellate courts decision will then be sent to the Florida Supreme Court. The Florida supreme court’s decision will then be the law of Florida unless the U.S. Supreme Court overrules or overrides the Florida’ Supreme Court’s findings. The process can take a year or two, but in all likelihood will be expedited.